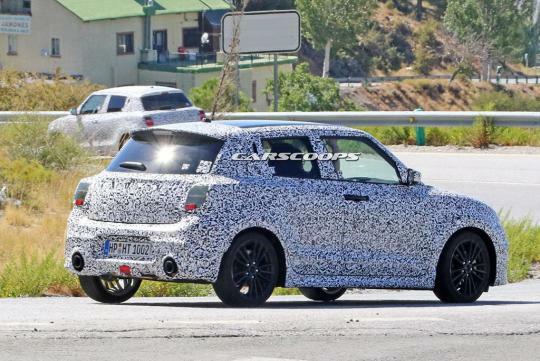 As reported by Carscoops, Suzuki's well-loved warm hatch, the Swift Sport, has been spotted testing on European roads. 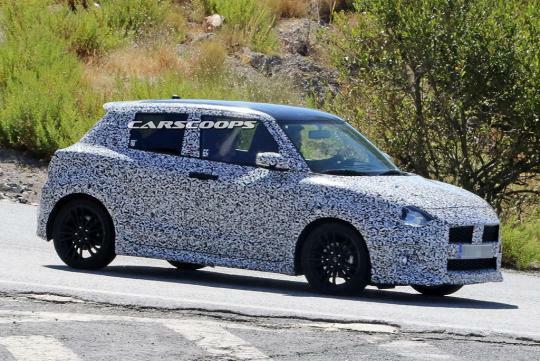 With the all new Swift due for launch at this September's Paris Motor Show, this heavily camoflauged test mule has given us a little preview of how the upcoming car will look like. Expect the souped up hatch to look more aggressive than the base Swift as shown in the photos. Similar cues found on the current Swift Sport can be seen here too. They include the pronounced front lip spoiler, twin exhaust pipes and five lug nuts wheels. Powering the new car will be a turbocharged 1.4-litre that is expected to output around 140bhp, slightly more than what the current car has. A six-speed manual transmission should come as standard. For those who want one, it should be on sale after mid-2017. Rendered image from Japan but should be close enough. Looks not to bad.. Finally ditched the CVT and go all torque convertor for their Auto version I see. But manually should make this car really fun cos you don't see a lot of turbo manuals lately.